A former NRL player who recently joined Aon in a senior position says his experience on the field has been instrumental in securing his success in the world of insurance. Grant Rovelli (pictured) was appointed Aon’s regional director for South East Queensland late last week and is tasked with leading the company’s continued growth in the area. However, while Rovelli has eight years under his belt in the insurance world, he comes from a background vastly different to that of many other brokers. Prior to his successful career in insurance, Rovelli played professionally for both the North Queensland Cowboys and the New Zealand Warriors, where he won the Vodafone Young Player of the Year award. He also played for Sydney Roosters for three years, where he captained the 2004 Grand Final winning side, and was selected to represent Italy’s national rugby league team in 2012. 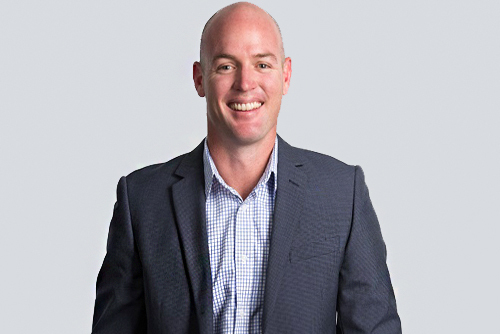 “From the footy field to the boardroom, Grant has demonstrated excellent leadership skills and a real passion for his home state,” said Kevan Johnston, managing director of Aon’s commercial operations. “Grant will bring to South East Queensland a fresh set of eyes and new ideas with drive, energy, determination and an absolute focus on a team approach – all with a strong client service mentality so we improve retention and growth across the region,” he added. The move is a significant step up for Rovelli, was most recently a branch manager for Aon, overseeing a 13-person team in Mackay – now, he will be overseeing 47 staff across eight branches. Of course, while Rovelli’s 10 years’ experience as a professional athlete is somewhat unusual, it’s also gifted him with valuable transferrable skills. “Leading in a professional sporting environment involved building high performing teams and bringing together the experience of colleagues on a number of levels,” he told Insurance Business. “Throughout the decade on the field I also learnt how to adapt motivational techniques to suit the individual, as people respond differently to different leadership or coaching styles, and believe building strong relationships are key,” he continued. While insurance and rugby league may seem worlds apart, Rovelli also said there were some surprising similarities between the two sectors. “One thing I have enjoyed about the industry is the level of competition can match the sporting environment particularly when competing for business or driving our team to succeed and achieve great outcomes for our clients,” he said.